Running and maintaining a FREE resourceful Virtual Assistant #VAforum such as ours cannot be run by one or two people and we appreciate when people, such as you, step forward to assist us. VAnetworking is always looking for volunteers, could that be you? As a volunteer, you’ll gain RECOGNITION as a Moderator at our forum which further promotes you as an expert in your field. We’ve had many moderators come through our network and become experts in Social Media, Podcasting, Bookkeeping, Web Design, etc. We love to give back to others who give to us and we will always do our best to give Moderators at our network back tenfold. Be it extra promotion of their products, word of mouth client referrals, marketing advice or working together with them on joint ventures. CLICK HERE to download our Volunteer Agreement to learn more about these volunteer positions. 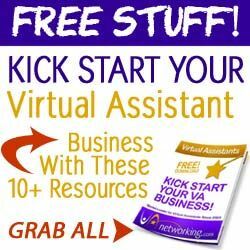 Our main GOAL is to continue being the #1 networking resource online for aspiring and successful Virtual Assistants globally. A market leading network where anyone can ask a question about working virtually without feeling silly asking it (our motto!). A friendly and informative place that Virtual Assistants can feel at home to share and learn from each other. We will promote you as an expert in your niche not in just the forum but through all our other social networks as well. You’ll be noted as one of our respected team members with a STAFF icon under your profile at the #VAforum. You will receive a pinned introduction in your forum area whereby you can promote your services and any products if you have same. It’s your moment to toot your own horn! You’ll gain exposure at our VA blog with your guest blog posts (if you choose to write same) which we also announce to our social networks. Thanks for offering coming on board to help us out…YOU ROCK!